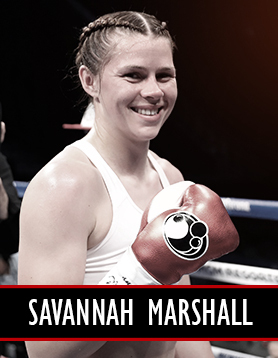 Currently the WBA Intercontinental Super Middleweight champion, Savannah is amongst the world’s best female prospects in the 168 division. She boasts a decorated amateur career where she won the 2012 AIBA Women’s Boxing Championships in China, as well as a gold medal at the 2014 Commonwealth Games in Glasgow. This prompted her to embark on a professional career in August 17th, where she debuted with an impressive decision victory over America’s Sydney LeBlanc. And just over a year later she, she picked up WBA Intercontinental Super Middleweight strap with comfortable points win over Yanina Orozco. Under the tutelage of Peter Fury, no doubt the nearby future aims of this talented individual are professional world honours.